Increasing volume of the lips without wrinkles with Botox and fillers and new wellness online resources with beauty tips shopping news and many other articles. Increasing volume and eliminate wrinkles around the lips with fillers and Botox. Imperfections that affect the mouth may be congenital or may be related to the natural and biological aging. Increasing volume of the lips. In the first case, the years have nothing to do: the ‘ asymmetry of the lips or mouth a thin or irregular design, features are written in DNA. The ‘ aging , natural and organic, however, leads the majority and the most common imperfections of the lips: the decrease in the volume of the lips to the appearance of wrinkles around the lips ( the so-called “bar code “). Almost all the imperfections of the lips are due to ‘ thinning of the skin, loss of fat and hydration but also the reabsorption of ‘ mandibular bone, dental alveoli. The presence of orthodontic implants may show a defect in shape of the lips or create it. Hyaluronic acid fillers to enhance the lips and to eliminate wrinkles around the lips ( aesthetic medicine ): lips without wrinkles. To counter the loss of volume and hydration of the lips, which lead to this long series of blemishes, you must go to restore these deficiencies with the ‘ use of resorbable fillers fillers based on hyaluronic acid to recreate and increase lip volume lost. The aesthetic medicine also uses therapies strongly hydrating ( always based on hyaluronic acid ) able to soften the whole area of the lips. A type of correction does not exclude the ‘ other. To restore softness and a strong dose of hydration to the lips yet not too marked by wrinkles, without changing the volume or shape of the mouth, we use a stabilized hyaluronic acid skinbooster in effect, going to re-create ( and maintain ) the softness and swelling of the lips young. The fillers based on hyaluronic acid are also ideal in the perioral area ( around the mouth ), to smooth the wrinkles of the ” bar code” or prevent its occurrence . The fillers based on hyaluronic acid can be applied with the ‘ needle or with a microcannula flexible and must be repeated three times at a distance of one month; subsequently be repeated after 6 or 7 months. 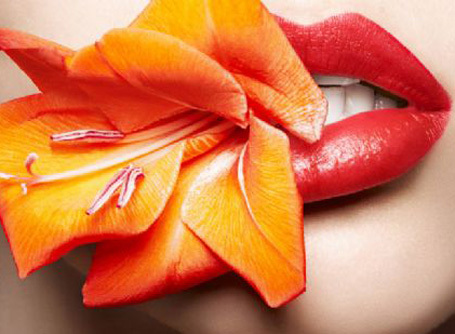 The cost of fillers lips and lip contour goes from 200 to $ 350 per session. Even correcting for the loss or congenital absence of lip volume (or asymmetries ) and to redraw the boundaries we resort to filler. Today there are two new types of stabilized hyaluronic acid specially studied: the volume to return volume to the lips but without altering the natural softness ( for a mouth natural, soft , that moves in line with the contraction of the muscle ) and refresh ( a formulation of hyaluronic acid capable of giving a light volume and a lot of hydration). For the treatment based fillers do not need anesthesia: the annoyance that it has because the injection is now reduced due to the presence of a mild anesthetic ( lidocaine ) to the ‘ interior of the filler itself. The ‘ lip volume effect is immediate. To make the ‘ application of filler even less traumatic, the doctor may use a MicroCannula aesthetic flexibility, allowing treatment of the whole mouth limiting to 2 points of entry, at the corners of the mouth. Or you can use the classical technique with the ‘ August The treatment can be repeated every 5-8 months depending on the product used. The cost is about $ 500 per session. To correct the wrinkles that form the corners of his mouth turning increasingly to the filler. In this case, the case of minor adjustments that require a technique of greater accuracy and minimum deposits of product, the filler is injected with the ‘ classic August and not with the microcannula. Again with the ‘ needle ‘ s Hyaluronic acid is possible to give more definition to the lip, depositing the filler along the perimeter of the lips as if wanting to redesign with a pencil. Usually for small fixes around the lips are enough small doses of the product. The cost is about $ 250. To redefine the contour of the lips, the cost is about $ 450. Botox and hyaluronic acid fillers to eliminate deep wrinkles around the lips ( aesthetic medicine ): for lips without wrinkles. The loss of volume and the ‘ muscular hyperactivity are the two main causes of the aging process of the mouth, responsible for the vertical wrinkles on the skin of the part between the nose and the vermilion: the so-called ” bar code”. When the signs of wrinkles are medium entity may be a sufficient treatment of strong hydration ( skinbooster ) and the correction of wrinkles with a filler based on hyaluronic acid. But the more wrinkles are deep, much less this solution can suffice: insisting with the filler the risk would be to have an unnatural swelling of the whole part. He then appealed to ‘ combined use of botulinum toxin and hyaluronic acid. The correction begins with ‘ Botox injection at the wrinkles along the margin of the vermilion ( prolabio ). The ‘ goal is to relax the muscle that causes contraction and consequently the formation of wrinkles. After 15 days, when the ‘ effect has stabilized, the doctor can finish the job going to fill with a light filler wrinkles that are still evident. The cost is about $ 400-500 for the correction with the filler more $ 200 if you use Botox. When you need cosmetic surgery for the correction of the lips for increasing volume of the lips. The ‘ excessive length of the stretch from the nose to the upper lip can be natural or be a sign of ‘ aging caused to ‘ flattening of the lip. To return the correct proportions you have to resort to cosmetic surgery. The surgeon affects a small lozenge of skin at the base of the nose with a design that follows a bit the ‘ trend of the lips. Suture so that the scar ends in the fold below the nose . You get the ‘ shortening of the skin ( the white part) and the ‘ eversion of the vermilion. Everything under local anesthesia. The cost for this type of correction is about $ 1200-1300.
Review risorseutili.com : Increasing volume of the lips. Therefore following and sharing all our contents by links ; in essence with Follow: on our Twitter, then on our Google+, on our Pinterest boards, or like and share on Facebook thank you for choosing this site and good navigation.